BKAVA1382-64a | Bat Kama At ? 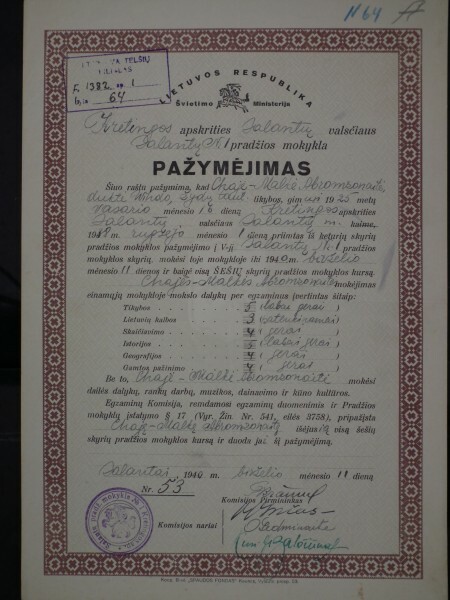 This note states that Abromzonaitė Chaje-Malke, Wihdas‘ daughter, of Jewish religion, born on the 16th of February in 1925 in the district of Kretinga, in the parish of Salantai, in the town of Salantai, on the 1st of September was admitted to the fifth department of Salantai elementary school and studied here till the 11th of June 1940 and completed the course of six classes of the elementary school. 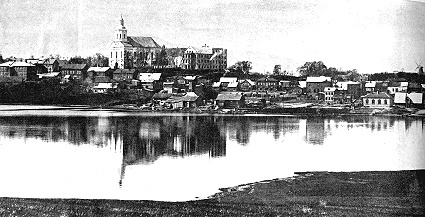 In addition to that, Abromzonaitė Chaje-Malke studied: handcrafts, graphics, physical education, games and songs. 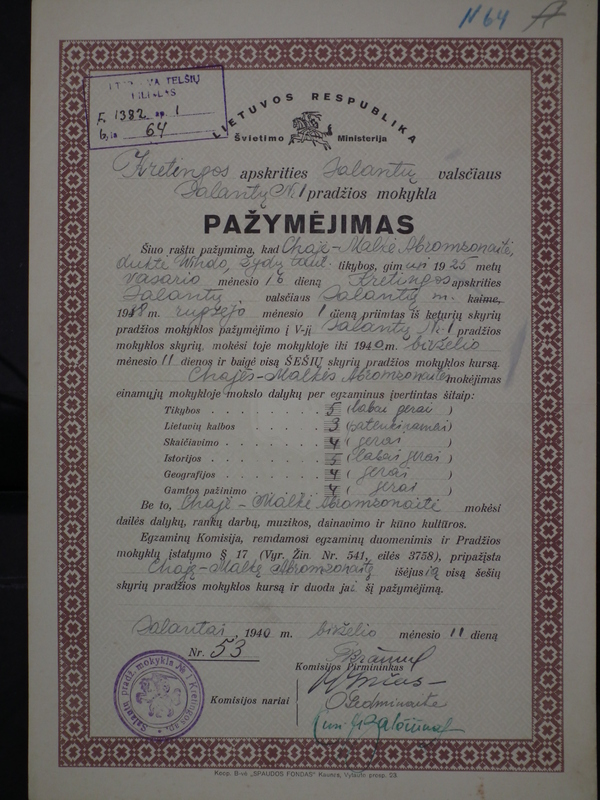 The committee in accordance with works and exams of the school year, decided to certify this certificate to Abromzonaitė Chaje-Malke and admit that she completed the six year course of the elementary school.